Benny Oke worship CD release. 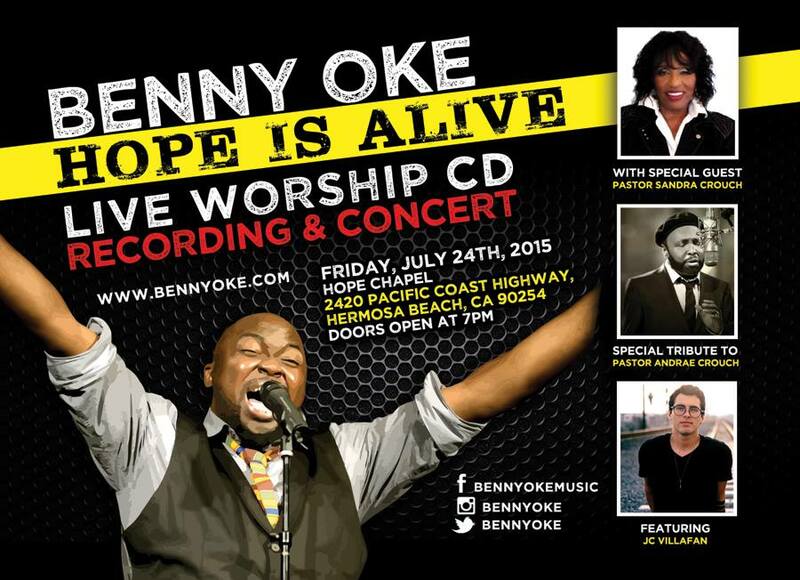 This promises to be a great event where quality worship will be given to Our God..July 24,2015 at Hope Chapel California. For more information on this event, contact Benny Oke via Facebook.